Help protect the skies with this brand new LEGO DC Universe Superheroes Wonder Woman clock! 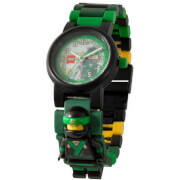 A great addition to any Superhero collection, the time is displayed on a digital LCD screen. The snooze and backlight functions are activated by pushing down on the minifigures head.